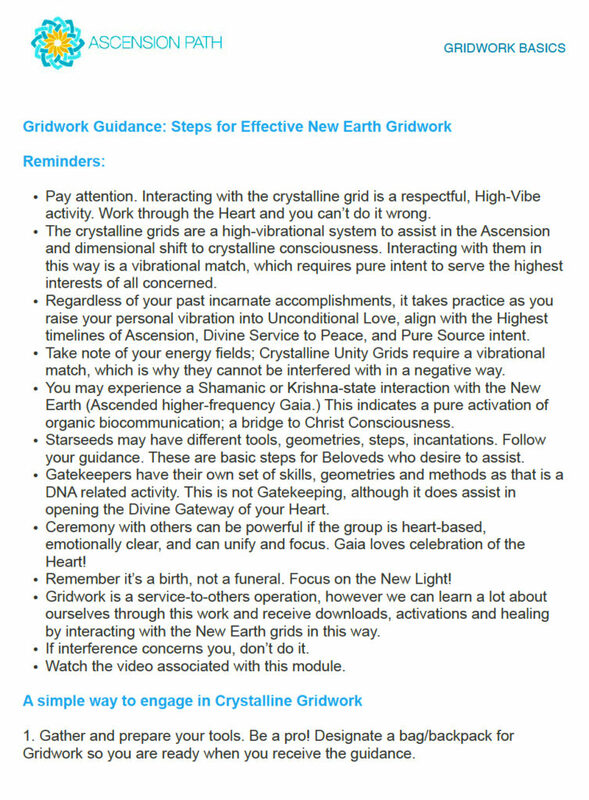 A foundational tool for those interested in New Earth Crystalline Gridwork. Use the PDF below with the video excerpt from the Ascension Path class. Watch the video, read the instructions carefully, then follow your Heart guidance in the Highest interests of all concerned with Ascension. or click on the image at left to view and save.